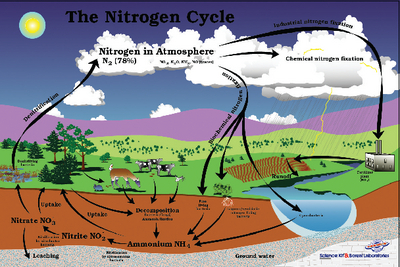 This full color chart shows the flow of nitrogen through the living and nonliving parts of the environment. It includes nitrogen fixation by plants, bacteria, and industry. Size of poster: 24" x 36".